Get More Traffic and Leads for Your Heating & Air Conditioning Business! 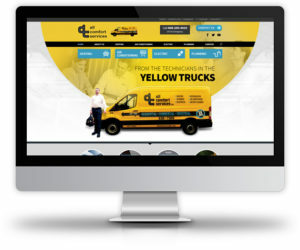 Simply Get Your Website Set Up Right! Did you know that not every website designer does enough of what Google wants? They skip steps or they just don’t know all the steps that need to be done. The result is a website that has to fight hard to rank high. When things aren’t done right, you’re not taking advantage of all you can do yourself to get your website to rank. You’re working against yourself. You competition, on the other hand, might be doing everything right, so their website is easy to rank high. Quite a bit about SEO (Search Engine Optimization) is technical. This means it’s on-site. This means it’s within your control. It’s something you can take advantage of… that is, if you or your web developer know what to do! Google wants websites to rank high. They do. They give everyone plenty of tools to make sure your website is technically working right. That’s one step – and it’s a big one… there’s plenty of work to do there. You need to get rid of all errors. This is tedious work that requires someone with knowledge and experience – and someone that actually likes doing this kind of work. The next step is structure. Structure is so important. Things like URLs, breadcrumbs, XML site maps, HTML site maps and other website elements need to be set up how Google wants it. They want a website that’s easy to view and understand. Next, your website must load quickly. This is SO huge! A fast loading website is one people will like and Google wants to give good results, so they’re going to rank the fastest websites first. This, again, takes an expert. It’s not something you as a business owner wants to learn – you need to run your business. Then, there are a bunch of other tasks that can be done to really give your website a boost like schema, voice search optimization, making every page HTTPS and so on. The bottom line is that there’s a LOT of technical work to do and there’s so much to do that there’s a very high chance that your current website designer either skipped it or just didn’t know about all the things that need to be done. Check your Google Search Console account for problems and fix every issue. Check your error log file for errors and fix those issues. Check to make sure your website is mobile ready. Fix the website structure if needed. Get your website loading faster – both desktop and mobile versions. Add schema and other ways to help your website rank for voice searches. Make sure every pages loads with HTTPS (SSL). Comb through your redirects and make sure you’re not doing more than one redirect (no chains). This is work you can do yourself if you have the knowledge, you can have your web developer do it (if they know how) or it’s something we can help with. With some websites, it’s just better to start over with a redesign, while with others, they may just need to be fixed. Once all of this work is done, make sure your calls to action are set up right. You’ll need to do some testing. Your phone number should be at the top for both mobile/tablet and desktop versions. Have multiple calls to action with varying degrees of commitment/buy-in. Next, do keyword research and find out what pages need to be optimized. This keyword research can also help you know what to blog about / what kind of content needed to be added or beefed up. 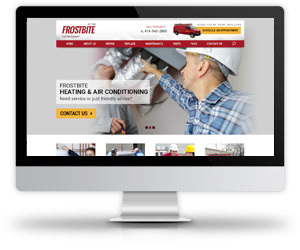 Need Help With Your HVAC Company Website? Webstix is here to help! We can take a look at your website and let you know if it can be fixed (and for how much) or if you need a redesign. Would 4 more installs per month be worth it for you? How about more than that? You need to beat your competition. Right now, you’re probably the one they’re ranking above. Let’s change that! Let’s get your website at the top of the results where you get more calls and leads. At Webstix, we’ll work with Heating & Air Conditioning companies all over the United States – not just in Wisconsin. We have plenty of clients we’ve never met face to face. We have a system that makes working with us very easy. You’ll never wonder where in the process we are. We communicate. Weeks won’t go by where you don’t hear from us – no way. Let’s get your website ranking higher and getting you more phone calls!